UK: Engineering firm GyroMetric Systems is using the Offshore Renewable Energy (ORE) Catapult's 15MW drivetrain test facility to adapt its drive shaft monitoring technology for use in the offshore wind sector. The company hopes to use condition monitoring to improve understanding of components’ behaviour and increase the efficiency and output of turbines, while reducing the need for unplanned maintenance, it stated. Nottingham Trent University-based GyroMetric has previously used its monitoring technology in the marine and manufacturing sectors, and has installed a "comprehensive monitoring system on a test wind turbine", according to its website. 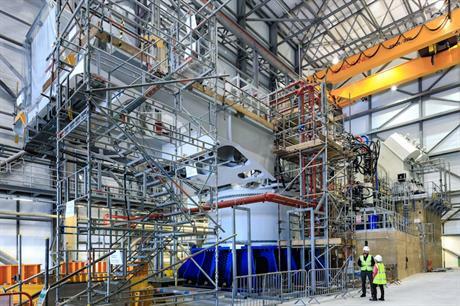 The firm tested its equipment on ORE Catapult’s 7MW nacelle at the test facility in Blyth in the north-east of England. It was able to collect data from the nacelle’s bearings, gearbox and couplings, the engineering company said. GyroMetric is also testing an ‘incremental motion encoder’ that uses an algorithm to calculate shaft position and torsional twist. The company hopes that by overcoming the challenge of measuring the dynamic torque of turbines’ rotating sections, it can help operators measure drivetrain efficiency more accurately and alert operators to drivetrain faults. CEO David Orton said: "Improving the operating efficiency of wind turbines and reducing maintenance will enable increased output and reduced energy costs, which is good news for both operators and energy customers."